Home Basic Accounting What are Capital Receipts? Capital receipts are funds received by a business which are not revenue in nature & lead to an overall increase in the total capital of a company. 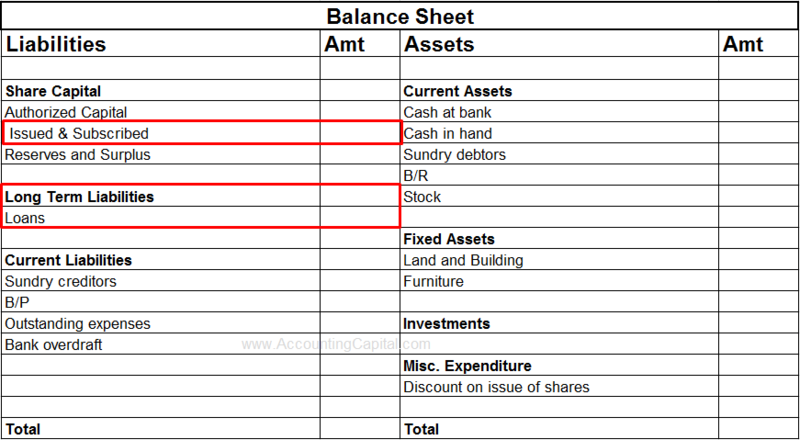 These are funds generated from non-operating activities of a business hence are not shown inside the income statement instead they are shown inside a balance sheet. They are non-recurring in nature which means that they don’t occur regularly and can’t be used for distribution of profits. Unlike revenue receipts which can be used to create reserves, capital receipts are not used to create reserve funds. They end up increasing liabilities or reducing assets in a company. Receipts of this kind do not affect the overall profit or loss of an organization & are booked on accrual basis which means as soon as the right of receipt is established. Few common examples are funds received from issue of shares or debentures, cash from sale of fixed assets, borrowings such as loans, insurance claims, disinvestments, additional capital introduced by the proprietor(s), etc. An elaborated example of capital receipts is sale of equipment – money received via sale of equipment is classified as capital receipts as it reduces the asset of the company, is an occasional & non-routine activity. Another example explained is insurance claim received for loss of machinery – this is also a relevant illustration as sum of money received is due to reduction of an asset of the firm.